Clean and cut chicken into big pieces. 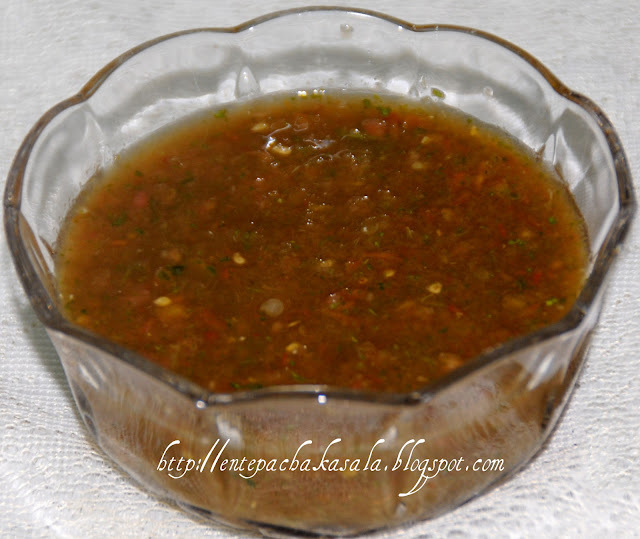 Heat oil in a pan, add onions, garlic, green chilli and garlic, saute until onions turn golden color. Add bay leaves, cardamom pods, cloves, cinnamon sticks, black limes (make 3-4 holes on the lemon) and cumin, saute for 2-3 minutes. Add coriander powder, salt, pepper powder and kabsa masala.Saute well until the raw smell goes. Add chopped tomato and tomato paste saute till the oil starts sepearte. Then add chicken bouillon. Mix well until sauce thickens, reduce heat to medium. Add chicken pieces, sauté for 2-3 minute. Cover and cook for 5 minutes without adding water. Remove lid and add water. Bring to a full boil then reduce to low. Cook for 30-35 minutes or till cooked well. After the chicken has cooked reserve chicken broth for rice. Take out the chicken pieces from the curry and keep it aside. Wash and drain the rice. In a deep bottom pan, add 4 cups reserved chicken broth, allow it to boil, add rice. Lower the flame, cover and cook untill the rice is cooked. Heat 2 tbsp oil in a pan and shallow fry the chicken for five minutes or until golden color. 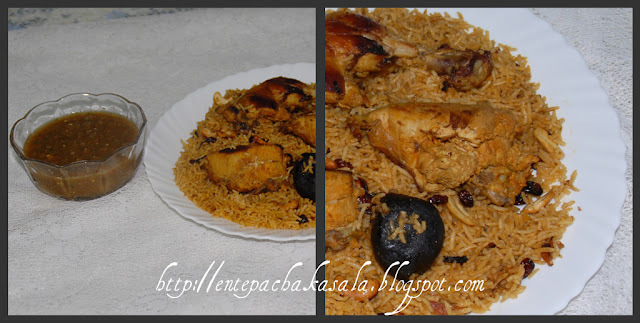 wow...completely new to me...very tempting clicks...Bookmarked ...thanx Jaisy for sharing..
do drop in at my space when u find time..
Hi Jaisy... this kabsa looks like biryani but it's different and the accompanying dip is great. thank u jay , yes u r right sangeetha its looks like biryani but ingredients and the method of preperation is very different. the main ingredient is black lime. black lime will give a good flavour. taste also very good. hey jais..i l try it soon n will surely tell u how it iz...this looks really drool worthy!!! yummy!! Nice recipe..looks like biryani,sounds like another interesting recipe for me to try :)Bookmarked!! What a tempting dish!! Superb recipe!! Loved the salata hara recipe too..Eniyum biriyani undakkumbol try cheyyam.. Such a beautiful dish, looks absolutely yummy! Very tempting recipe. 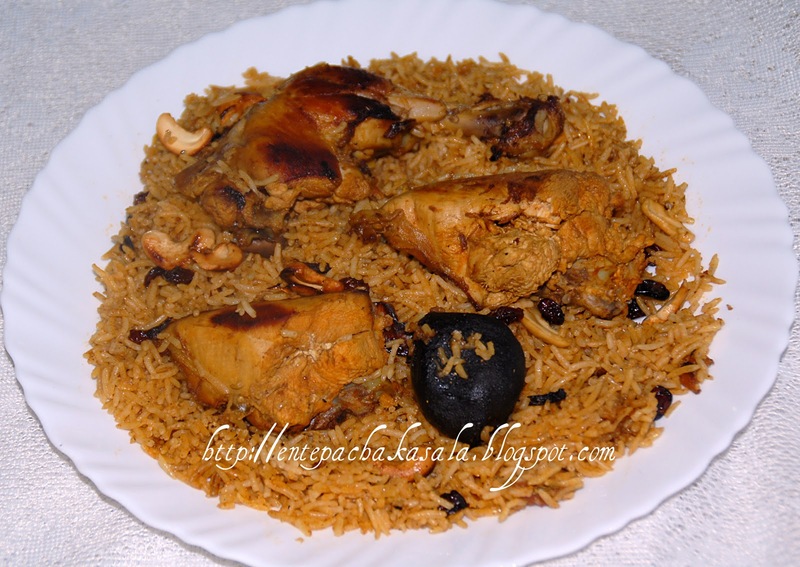 Could kabsa masala be obtained from stores? Or do you have a recipe for this. Keep up the good work! do u get to buy kabsa masala in packets? ?